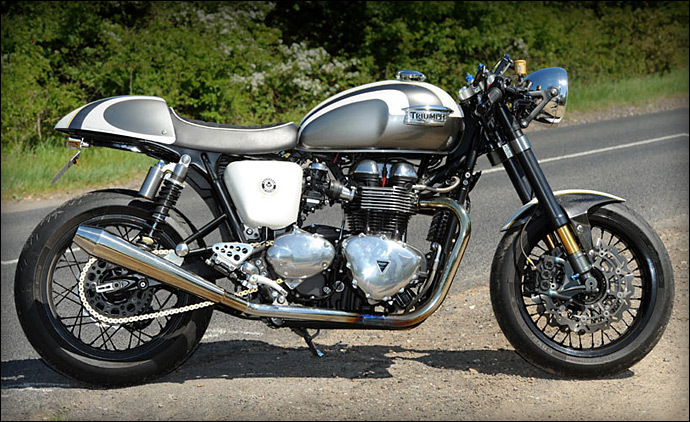 Meet thee coolest damn Thruxton you’re ever likely to throw a leg over – the Ace Cafe 904 Special. Built by British Racing Shop T3 in conjunction with the Ace Cafe and the Stonebridge Motor Company, the original inspiration behind the project was to create a more modern, faster, and better handling version of the Thruxton while retaining the classic looks and feel of the original bike. And from what we read, they haven’t failed in their mission. It’s only original parts are the chassis and engine block, but you can rest assured that they have been tweaked more than a little as well; the dyno results give it a healthy 80bhp and 60lb.ft of torque. This blog’s name is inspired by this legendary cafe so i thought i should write a blurb about it. The Ace Cafe is full of history – it was originally built in 1938 to serve as a road side cafe stop for truckers using the new North Circular Road. It was open 24 hours a day – and being on one of the fastest roads in the country – bikers soon started to appear. It was bombed during the war then rebuilt in 1949 – it was the heart of the Mods and Rockers war – it was the home of Rock ‘n’ Roll and it owned the 50s. If you ride a bike the Ace Cafe was and still is THE place to meet. Unfortunately the cafe closed it’s doors in 1969 and has been a bookies, a filling station and more recently a tyre depot – but importantly the building itself didn’t change. 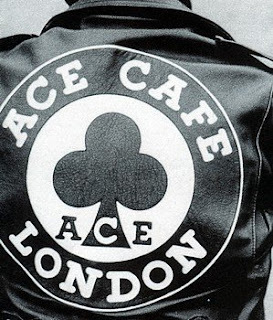 Then in 2001 Mark Wilsmore re-opened the Ace as a bikers cafe again – after years of work getting it off the ground. If you are ever in London it should be high on your list of places to visit. Theres always something on there. Live bands, theme nights and race meets.